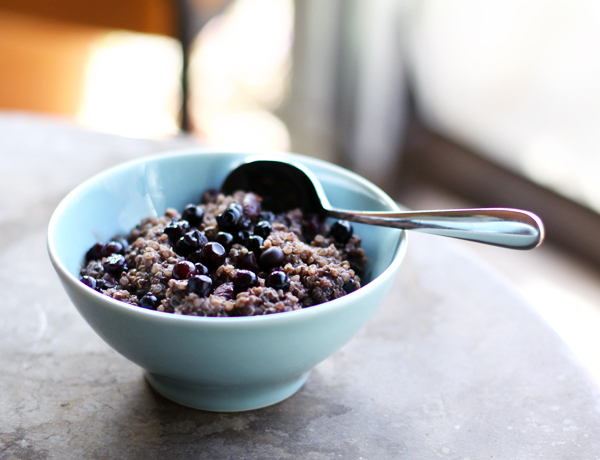 This quinoa dish is full of all sorts of good stuff, making for a light, healthy breakfast. 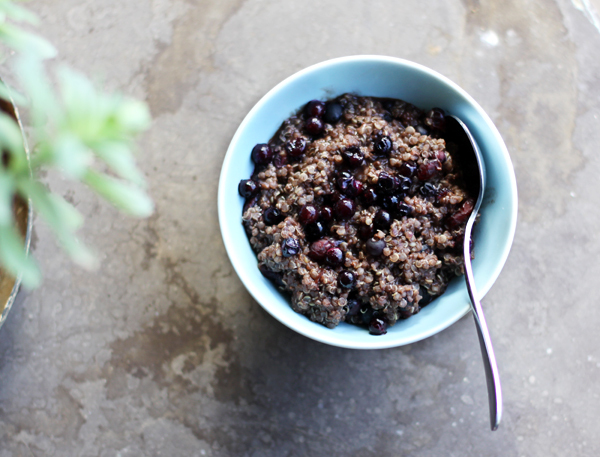 Quinoa is high in protein, making it a great way to start the day & the addition of cocoa powder, vanilla & berries helps it taste wonderful. 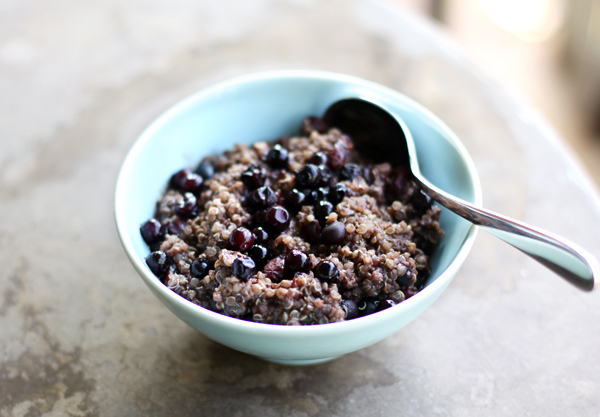 It is also a quick-to-make breakfast, using already cooked quinoa & is gluten & dairy free. I use a combination of dried & frozen berries, but if you are lucky enough to have fresh you can certainly use them. Firstly you need to cook the quinoa - the following amount will make several breakfast, I just keep the rest in the fridge. Rinse the quinoa, before placing in a small saucepan with the salt & water. Bring to the boil, then reduce to a simmer & cook until the water is absorbed - about 15-20min. I like to leave it to cool in the pot with the lid on, then store in a container in the fridge. 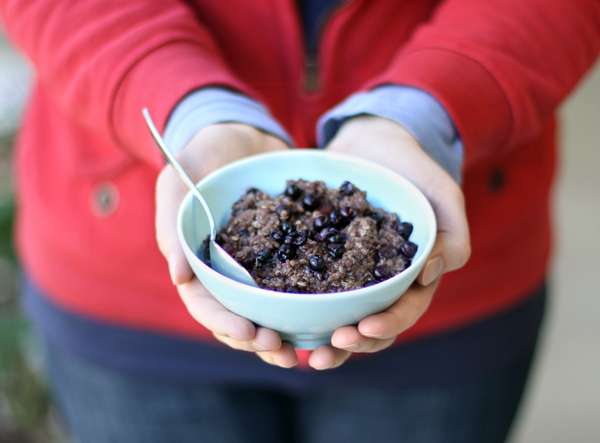 Place quinoa, milk, cocoa, vanilla, seeds, cranberries & a sprinkle of sweetener* in a small saucepan. Cook over medium heat until hot - add the blueberries once it has started to get hot & cook until the berries are defrosted. Tip into a bowl to serve. *I use very little sweetener in mine - I find the oat milk makes it quite sweet anyway, even with the cocoa powder. You can always add extra once it's cooked, so don't add much to start with. You can adapt this in a myriad of ways - different dried or fresh fruit, adding some chopped nuts, dessicated coconut or anything you enjoy. Your photography is really beautiful! Loving the light. hhmmm this looks so good, i should try the recipe! Next time I'm making quinoa, this will be it!